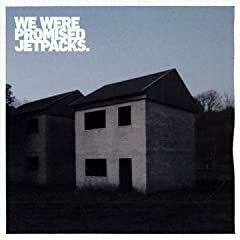 This is one side of the new double AA sided single from the Jetpacks following on from their impressive "These Four Walls" album earlier in the year. The single will be released through Fat Cat on November 23rd on CD and digital formats. The Kiara Elles live just down the road in Leeds and this track is the title track from what I assume is their debut release, a four track EP released a couple of weeks ago and is available as a lovely 7" single which is limited to just 500 copies, signed and decorated in a customised wallpaper sleeve, whatever that means. Taken from the "Trust" EP which can be downloaded in full from Ben's myspace page. Definitely one of the best records I've heard this week. There isn't a bad track on here and you can bet you'll be hearing more from this album in future fodders. The album is called "Terminal Static" and will be released through Ad Noiseam on 27th October. Moussa Clark is a London based DJ, producer and remixer who also runs a thing called Oven Ready about which information is scarce but I live in hope that someone will let me in on the secret. There is quite a lot of stuff available for download from Moussa's site. I haven't listened to it all myself yet but what I have heard is pretty damn fine. Probably one of the hardest working bands in the UK. They just always seem to be touring. They have however found the time to record the follow up to last years "Waited Up Till It Was Light" album. The new record celebrates under the rather cumbersome moniker of "Grace & The Bigger Picture" but once you get past that it is well worth the effort. Whereas some of their peers have started the journey towards more commercially acceptable sounds Johnny Foreigner seem to have just thought sod them and gone and made a bloody good record. "Grace & The Bigger Picture" was released last week on Best Before. Yes it is that "Here Comes Your Man", originally recorded in 1989 by The Pixies. 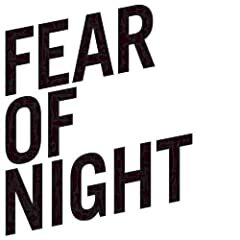 This version is taken from the album "Fear Of Night" which was released sometime last month (sorry, I'm a bit behind on my e-mails). I always get excited when a new Boris record appears, mainly because you never know what to expect. 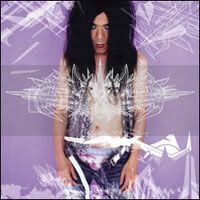 This track is taken from a seven inch single entitled "Japanese Heavy Rock Hits Vol. 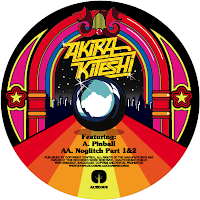 2" which is the second of three 7" singles in the "Japanese Heavy Rock Hits" series which comes to an end next month with the third and final instalment of the series. Taken from the album "Paradise". Just in time for bonfire night. It's always nice to hear Amelia Fletcher back in action. This is the lead track on the new Tender Trap single which can be downloaded, together with the b-side "Grand National" which is just as good as this track from the Fortuna Pop website. 15th November - Nottingham, Bunkers Hill (According to the band's myspace this gig kicks off at 1300 hrs). Taken from the "Pinball" 12"
The cover art is a nice touch! Thanks.